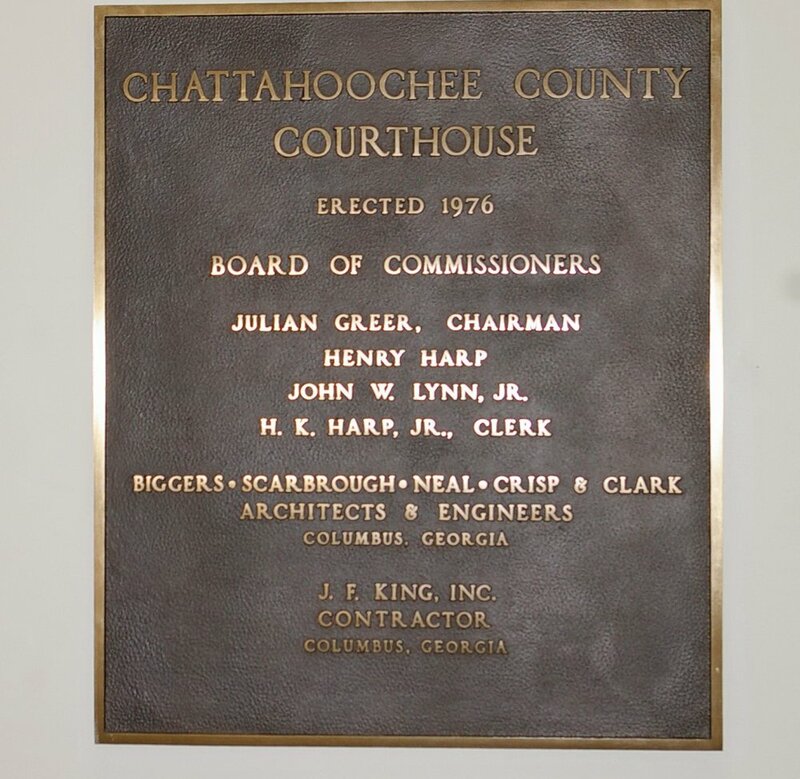 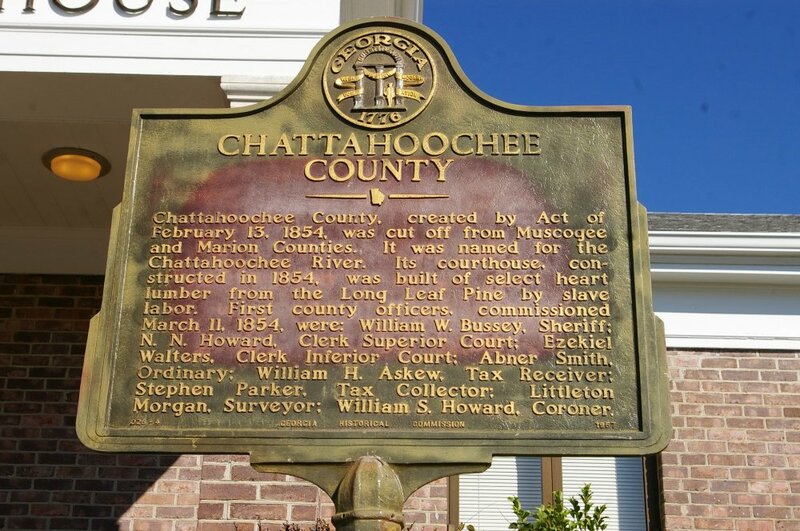 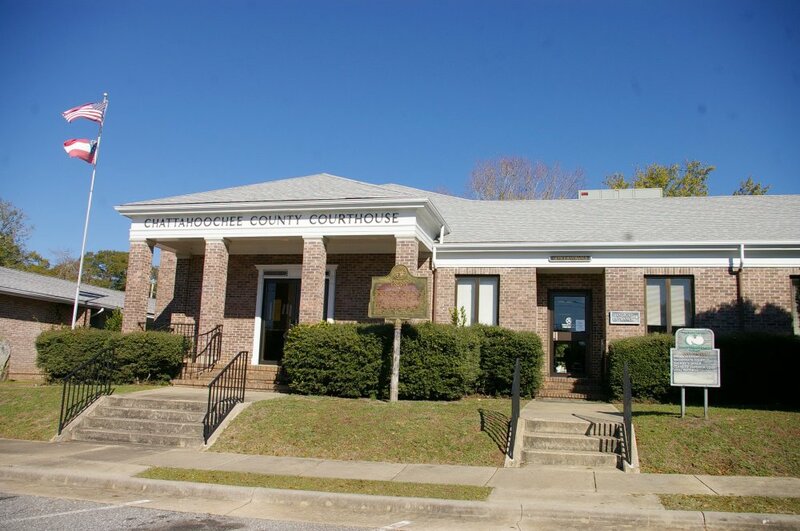 Chattahoochee County is named for the Chattahoochee River which name is derived from the Muskogean word meaning “rocks-marked” from “chat” meaning “rock” and “huchi” meaning “marked” and refers to the many colored granite outcroppings along the river. 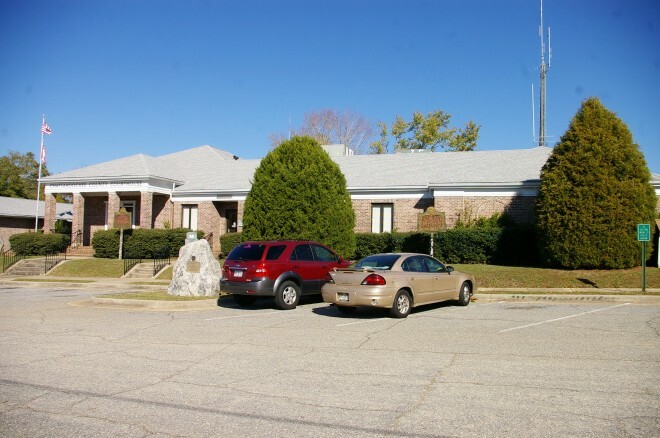 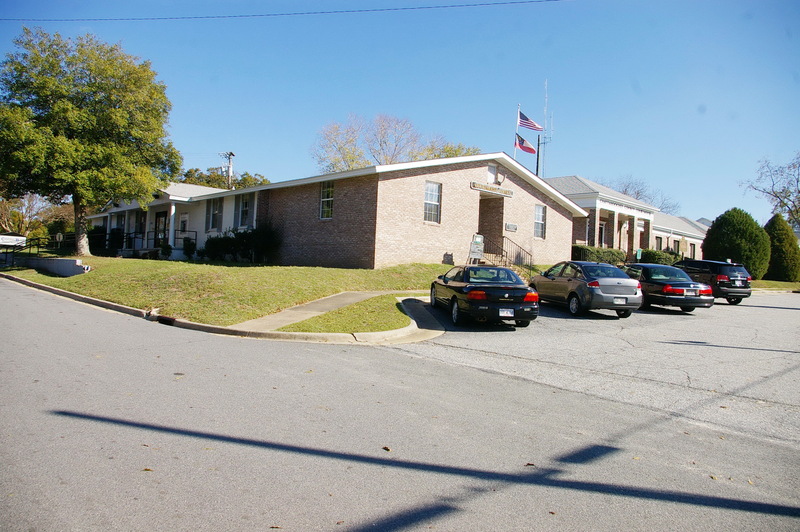 Description: The building faces south and is a one story light red colored brick and concrete structure. 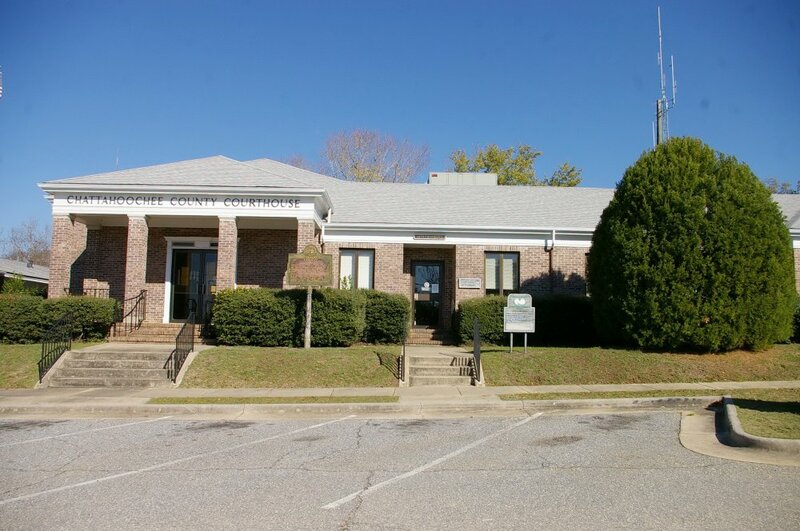 The south front has a porch on the west side supported by four square brick pillars. The roof is pitched. The first structure built in 1975 was along the west side.